The sitting fee is $39 plus tax. This includes your opportunity to have a private audience with our exclusive, authentic Santa Claus at the studio in Waukesha, WI. 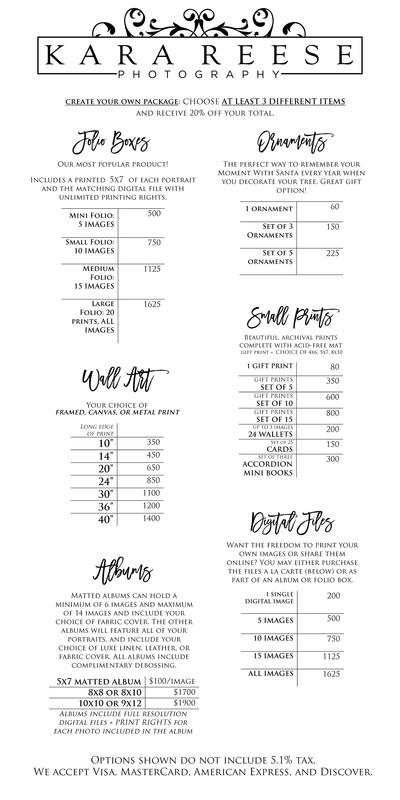 It does not include any prints, digital files, or other products. Most clients invest an average of $500-750 on their Santa experience. Some more, some less. However, we do not have a minimum purchase requirement, so if you don’t love your photos – you are not obligated to make a purchase. Repeat clients receive a 25% savings. Thank you for your business! **CHRISTMAS CARDS** View available designs for Christmas cards ONLINE HERE! Located by the Rotunda. Our next-door neighbor is Chef Jack’s. Kara Reese Photography is a full-service boutique photographer located in Waukesha, Wisconsin whose mission is to provide you with an outstanding portrait experience that results in gorgeous custom photographs that will become heirlooms to cherish for generations to come. 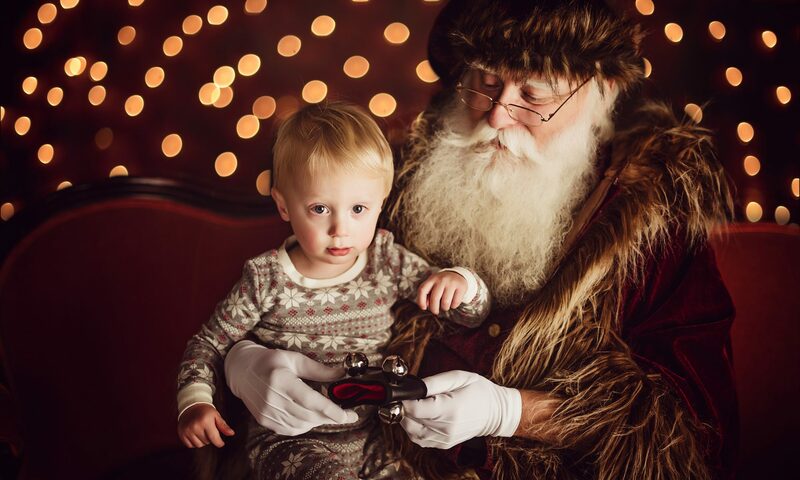 You won’t find Santa portraits like ours anywhere else!